There’s Ice On Cape Cod Bay! 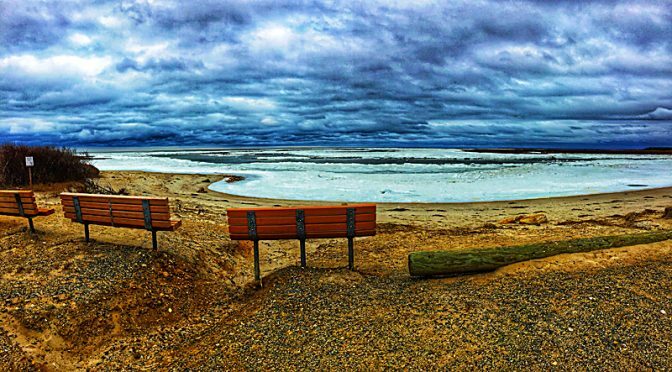 It’s been so cold lately here on Cape Cod that there is ice along the shores of Cape Cod Bay. I took this photograph as a panorama from Boat Meadow Beach in Eastham. You can see all the ice in the water. It’s quite different from the one I posted a couple of weeks ago, but pretty, don’t you think? Previous PostHarp Seal At Boat Meadow Creek On Cape Cod!Next PostWe Made Our Own AllTrails Hike At Nickerson State Park On Cape Cod! Beautiful…and time for a cup of cocoa!